For more than a decade now, Cinnamon Kitchen has been dishing up top notch modern Indian food for the hungry City folk of London, but what's their secret? 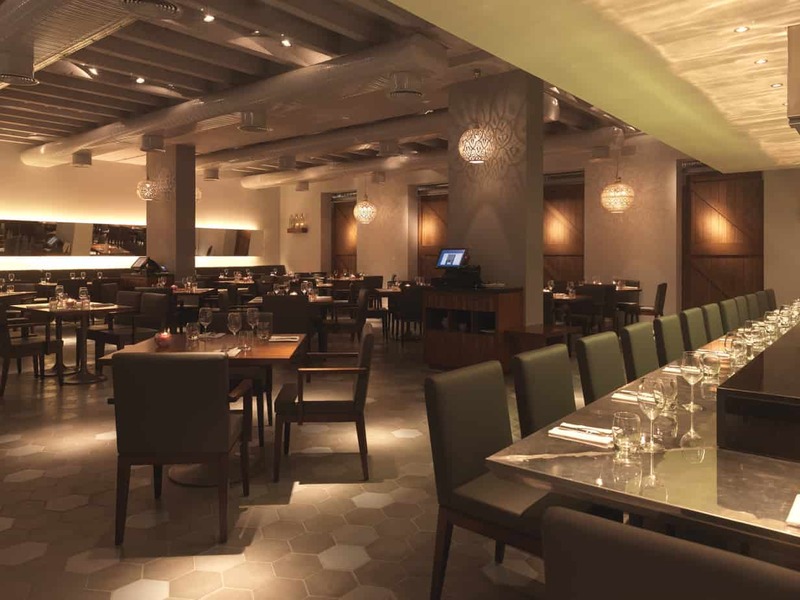 For 10 years now, Cinnamon Kitchen has been dishing up top notch modern Indian food for the City folk of London. 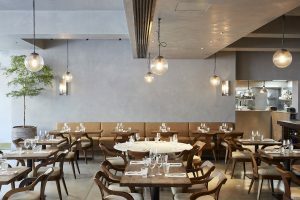 Guests can either dine inside, basking in the warmth and heavenly aromas floating from the semi-open kitchen, or sit outside within Devonshire Square. The latter is one of the big draw cards for Cinnamon Kitchen, with diners able to tuck in outdoors anytime of the year, looking up through the transparent ceiling or down to the surrounding bars and restaurants. There is a lively atmosphere here, even on a weekday evening. But it’s not only the location which brings people back. 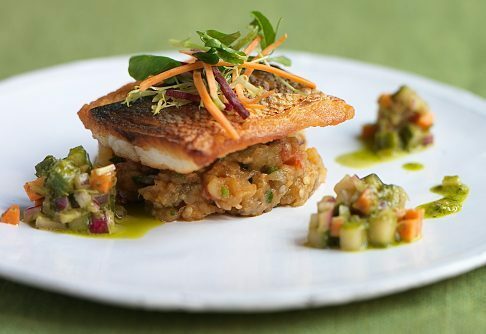 Head chef Vivek Singh is constantly changing up the menu, taking classic Indian dishes and jazzing them up to suit the business-heavy clientele. You won’t be overwhelmed with flavour and spice here; it’s all paired back a little for the British pallet. This is both a blessing and a curse. You won’t leave with curry-stained fingertips or breath smelling of spices; you’ll have to head to the old school Brick Lane eateries if you’re after those feels. The food here is more refined and considered. Take the deconstructed Lahore-style vegetable kebabs. The roasted cauliflowers and broccoli may look a little underwhelming at first, but they’re surprisingly packed full of flavour. And the accompanying sauces bring it all to life. Fresh raita and a spicy green curry paste get taste buds rumbling, while the trio of lamb is also a great way to experience Vivek’s ability to mesh together different flavours and culinary techniques. Cinnamon Kitchen gives plenty of dining options. Take a seat at the kitchen pass, sit outside in Devonshire Square or simply feast in the main dining room. The tandoori rump and fillets are tender and juicy – thanks to the high-quality meat that they source from Kent. These are served alongside a minced lamb chapli, corn curry sauce with seasonal greens, a little extra raita and a herb sauce. There’s a lot going on, but no part is competing with another. It’s all well balanced. And while the meat and vegetarian options are a plenty (as they should be for Indian cooking), the seafood truly impresses. 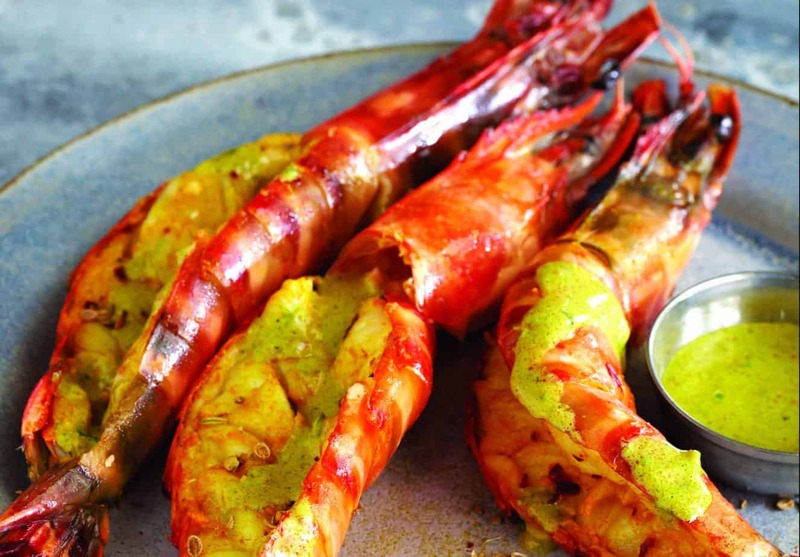 The wild African king prawn with a coconut and kasundi mustard sauce are a must and a perfect chance to get your hands dirty. The massive prawns have been grilled twice, charring the shells quite heavily and giving them a great BBQ smokiness. You can attempt to scrape out the flesh with your fork, but you’d leave too much deliciousness behind. Put the utensils down, roll up your sleeves and get every last morsel, mopping up all of the accompanying sauces as well. Even dip into some of those from other dishes – especially the punchy mango chutney. The food here is delivered in such a way that you can choose to eat more traditionally, having your own specific dishes, or just get a whole bunch of things to share. This makes it perfect for entertaining clients looking for some British-Indian cooking in a more upscale setting. But, just as easily, a big bunch of friends and work colleagues can book one of the massive tables outside, beneath the portable heaters, and have a proper feast. Right now diners can treat themselves to a 10th anniversary seven-course tasting menu for a sample of Vivek’s favourite creations. All in all, the contemporary food offerings here are impressive, but we still missed the traditional Indian eatery vibes. 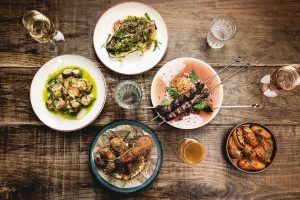 The messy, large portions of incredibly aromatic dishes have been stripped back for the City’s business people. Just think of it as vibrant Indian food that’s less likely to stain your suit and tie.